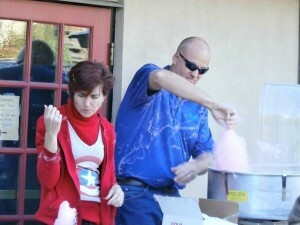 dy and the cotton candy machine got a little out of control…but besides that it was a fantastic day! The Christian Education Board of First Baptist Church put together a Trunk or Treat event that took place right after the Kennett Square Halloween parade. People finished watching the parade and came right on up to join in the fun with trunks filled with treats. We saw lots of families we recognized from church, daycare, and vacation bible school…but we saw many more new faces.